In The Beginning: A Studio Space Is In The Works! Maybe finding the perfect studio is the equivalent to finding yourself in a great relationship….the best ones come around when you’re not actively looking! I’d always imagined Branch moving out of my home office and into a dedicated space but it felt a little risky — and it’s always smart to play it safe and keep overhead low in the first year of starting a new business. Well, the time has come! The studio of my dreams quite literally fell into my lap with one chance meeting at a neighborhood party. Now, I’m making plans for Branch to move into its very own space in early November. It’s a space full of other makers and though our office isn’t quite finished (that’s the way it currently looks above — real talk! ), in the next few weeks, it’s going to slowly transform. I wanted to share this news with you in real time because you’re going to be coming along on this journey with me — from sourcing decor to making the space functional on a budget. This is the first real space outside of home I’ve ever had and it feels like a necessary big step forward after celebrating Branch’s one year anniversary a few weeks ago. 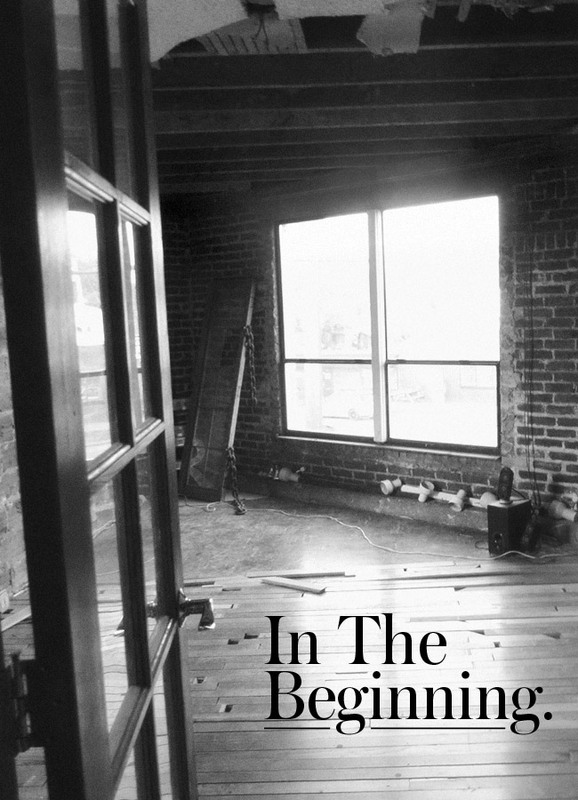 33 Responses to In The Beginning: A Studio Space Is In The Works! This is MASSIVE!!! Congratulations, Shauna <3 So excited to see this space transform and come to life Serendipity is beautiful and pure magic. Thanks for sharing the beginnings of this exciting new chapter. SO excited for you, that’s HUGE!! It’s the absolute best when things just fall into place when you weren’t actively seeking. Can’t wait to see the transformation!! One of the things that pushed me to do it was our conversation over the weekend! It felt like the time to take a chance. P.S. Still thinking about that apple Roman Candle pastry I had Saturday morning! Ugh, so good! Congratulations, Shauna! So excited for you and Branch! Can’t wait to see the final transformation of the space. Congratulations! Can’t wait to see what you do with your new space. !!! Congrats Shauna! Can’t wait to see what you have in store for this space! Thanks, Kelsey! I’ve been reading your blog for ages so it’s always exciting to see your comments over here. Definitely a space to look forward! That’s really exciting Shauna, congrats! How exciting cannot wait to see! Thanks so much! I hope you get a space of your own because with your sense of style, it would be so badass. Crossing my fingers for you! It’ll happen sooner or later — hopefully sooner! Wow, what a happy/exciting announcement Shauna – good luck with the set up. It’s such a big change….but it’s gonna be a fun ride. I can’t wait to share more as the space takes shape. Wohooo, congrats on the space! It’s gonna be so fun to put everything together! Congratulations! I love getting glimpses of people’s living spaces, so it will be fun to tag along for the transformation! Thanks! I’m gong to try to post weekly about the changes — I really want my readers to feel like they’re right there with me in this new experience. Congrats Shauna! Excited to follow along! Yaaaay, congratulations! So exciting for you! I can’t wait to see how it’ll turn out!